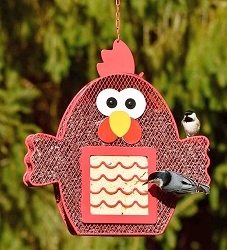 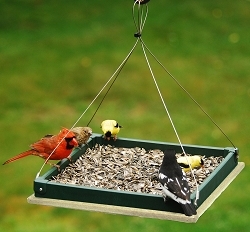 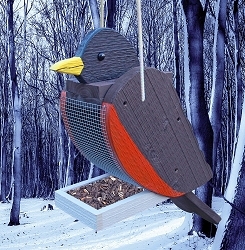 Birds will flock to this stylish bird feeder, with its U-shaped perches that they prefer. 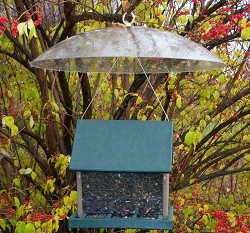 The Antique Copper Lantern Feeder holds up to 3 lbs. 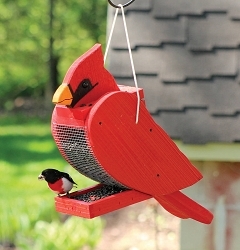 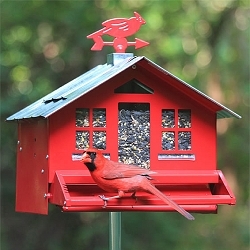 of seed, has 4 feeding stations, bird-preferred U-shaped perches and an antique copper finish. 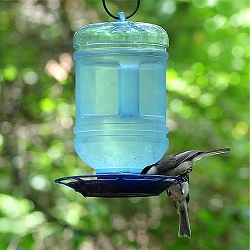 The rounded lid design gives it a charming and softer appeal. 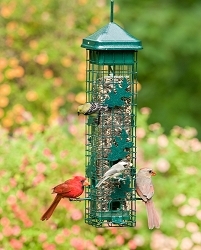 This feeder utilizes the Sure-Lock™ cap system to keeps squirrels out and allows birds to feed. 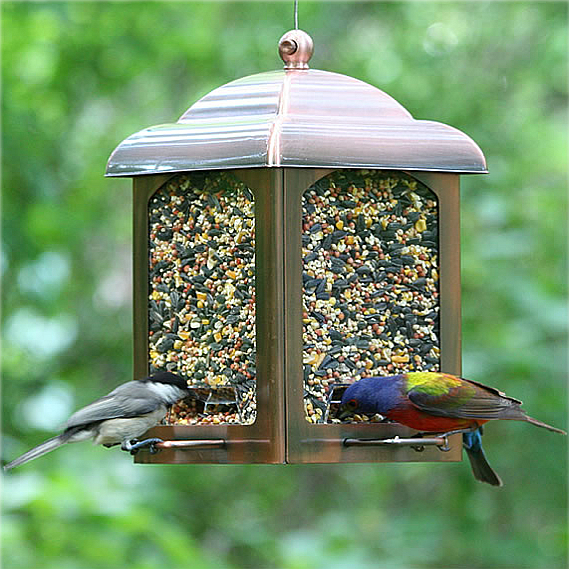 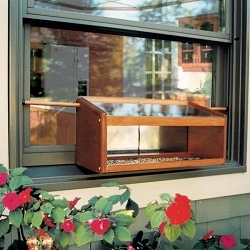 The transparent seed compartment makes it easy for you to monitor seed levels and keep your bird feeder clean! 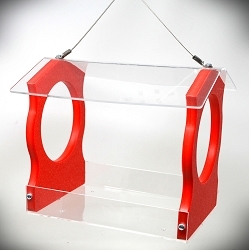 Dimensions: 8.25" x 8.25" x 10"